The Perfect Girls' Weekend Is Waiting For You In The Most Unlikely Destination - SANDALS EMERALD BAY! As a mom of 3 boys, I know, and know well, the value of a good girls' trip! I am a huge advocate of moms getting away from the chaos of home life on occasion and I try to do it annually with my UGA sorority sisters. Typically we escape for a long weekend to a close destination like 30A or St. Simon's Island, both an easy drive away from ATL. A Girls' getaway weekend checks several boxes: wine time, getting a much needed break, catching up with friends, having adult conversations/girl talk (i.e. NOT about golf, home repair, robots, cars, farts or football...well, unless it's UGA football - that is allowed) wine again, eating great food in nice restaurants with NO KIDS, and of course, there are the added perks of abdominal workouts from belly laughing and, more wine. Oh, man, that reminds me...I could use a good girls' trip! I love traveling with my sorority sisters from UGA so, this past May, I planned a girls' trip to celebrate all of our BIG birthdays! 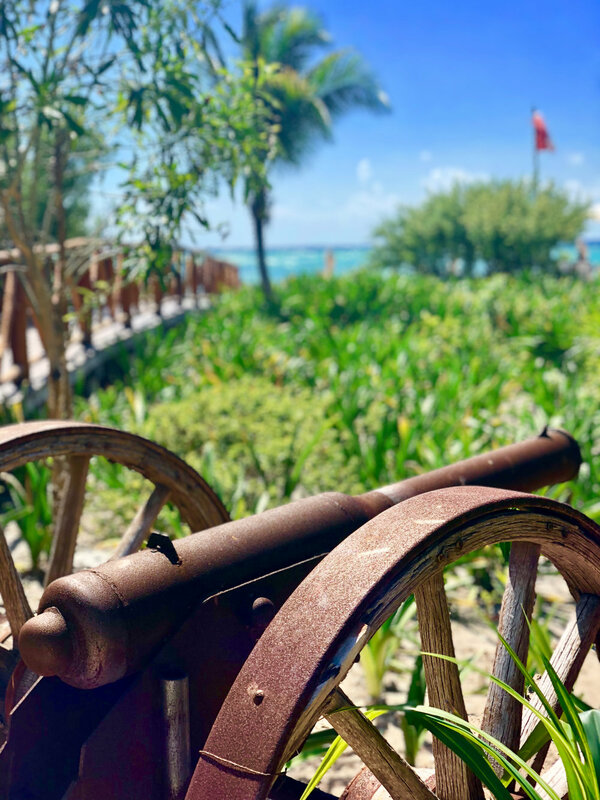 This was a special trip, to celebrate a special occasion so as a new travel agent, I had just the place in mind for us to go relax, rejuvenate, pamper and indulge ourselves all the while giving our husbands peace of mind - SANDALS! That's right...that romantic spot, with all the gushy honeymooners, vow-takers and anniversary celebraters...also the perfect spot for 8 happily-married girls wanting to escape reality without being bar targets! Barefoot By the Sea - You seriously do dine barefoot in this beachfront setting as you kick your shoes off and choose your table in the sand! 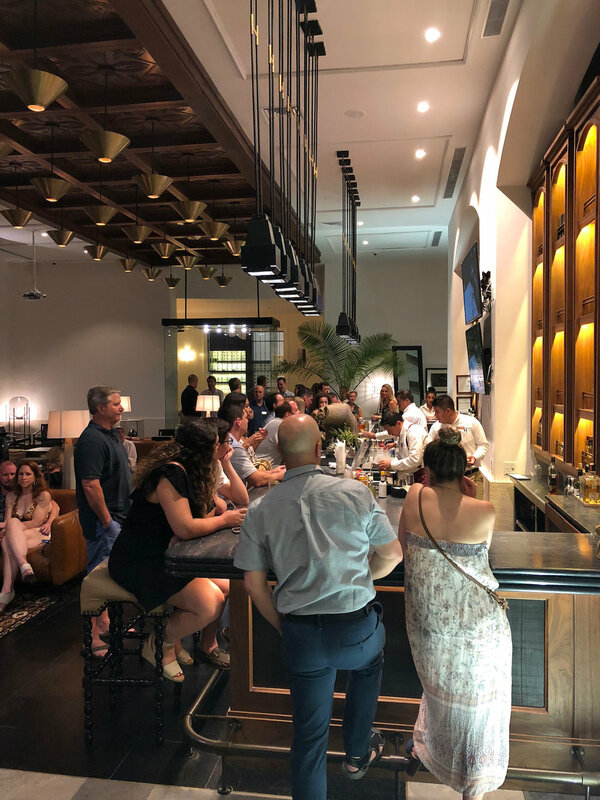 This causal spot serving fresh seafood and lobster is perfect for arrival day and we all loved our dinner choices, ranging from the Signature Lobster dish to Mahi Mahi with your choice of preparation and sauces, to Seafood Linguine with mussels and prawns. For those that don't care for seafood, steak and chicken are also available. Il Cielo, Italian - We really enjoyed the Italian restaurant, Il Cielo for dinner (and breakfast.) All of our appetizers and entrees were fantastic, and our service was as well. I particularly loved the Lasagna Bolognese and the soft, warm Focaccia was to die for! Soy, Sushi - Sushi, Sushi, Sushi...YUM! This place left us wanting more...literally, we kept ordering, and ordering, more and more delectable sushi rolls, until we could not order any more, because they closed the kitchen on us, LOL! Even though we were disappointed we weren't allowed to order rolls number 473 and 474, it's a good thing in the end since we would have had to roll ourselves down the hill to the Drunken Duck Pub, but more on that later! Breakfast is as you would expect, an exceptionally lavish buffet spread or room service...both were great. Other restaurants on site include: La Parisienne serving fine French Cuisine, Bahama Bay Bahamian Cuisine, Bombay Club Indian Cuisine, Kimonos Oriental Cuisine and for quick bites, the Drunken Duck, Dinos Pizza, Cafe de Paris, Jerk Shack Caribbean Grill...all great choices. Travel Tip - With the exception of Butler service, tipping is NOT allowed at Sandals! 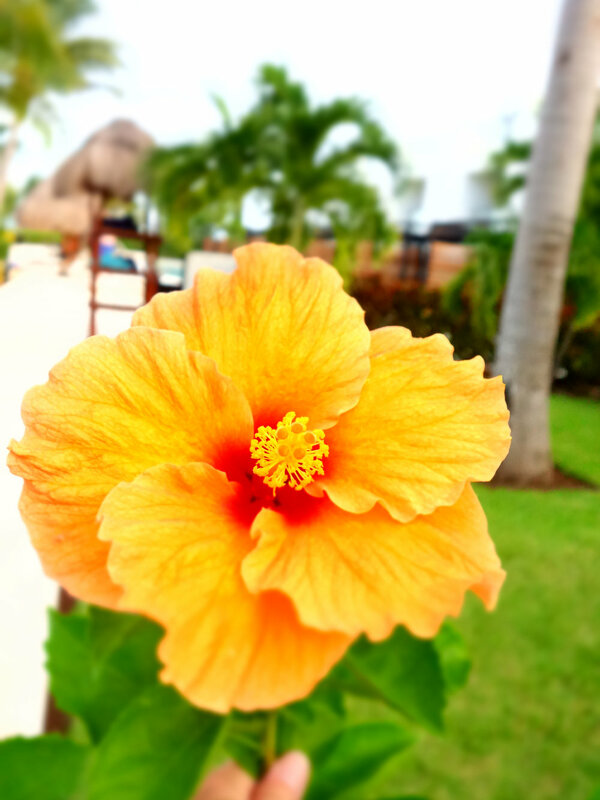 In order to maintain excellent service, Sandals has an employee recognition program utilizing an app. 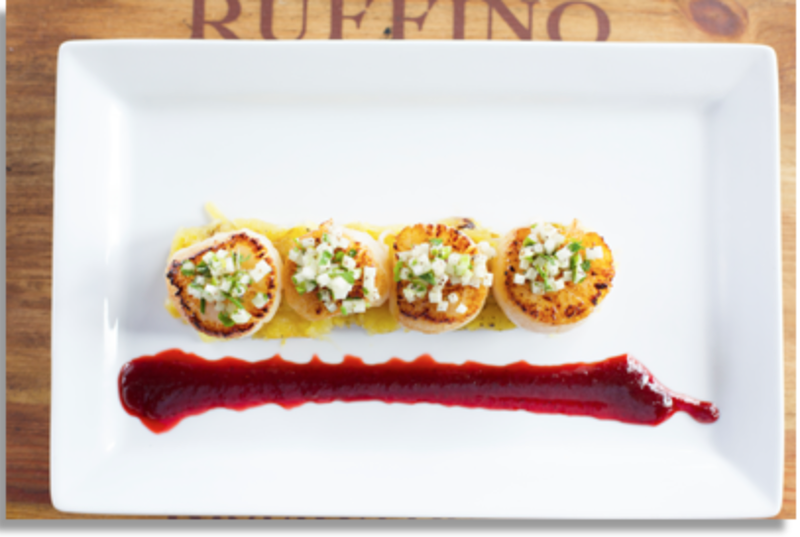 Simply scan a QR code and compliment your server via the app. Oh the fun we had at Sandals Emerald Bay! We did not receive the sideways glances we expected to receive as 8 fun-loving college ladies reuniting loudly over tropical libations. In fact, we were very warmly received by the staff and guests! Everyone we met told us how wonderful it was that we were on a girls' reunion and how they hoped they could do the same someday! Within a day of arrival, we were referred to as "The Georgia Girls" and we had the signature cocktails flowing! We were always served with a smile, and on occasion had service so good we had to ask for a break in the rounds of cocktails being delivered to our beach set up, kindly arranged by our Butler Lamon. Nightlife at Sandals Emerald Bay was equally appealing! We loved the piano bar after dinner and you cannot leave this place without visiting the Drunken Duck Pub. Living up to its name, the DDP was the place to go if you are up for late-night action while on vacation (which always is a challenge with all the daytime sun and fun!) Envision a great DJ, line dancing, pool tables, ping pong, darts and pub fare all served up in an Irish Pub setting. Everyone up for a good time is in one of the 2 rooms of this lively place, and it's a good thing it closes at 2 or else....well, I'm pretty sure I don't want to know the or else! 8 of 8 girlfriends agree...when at Sandals, do the DDP! 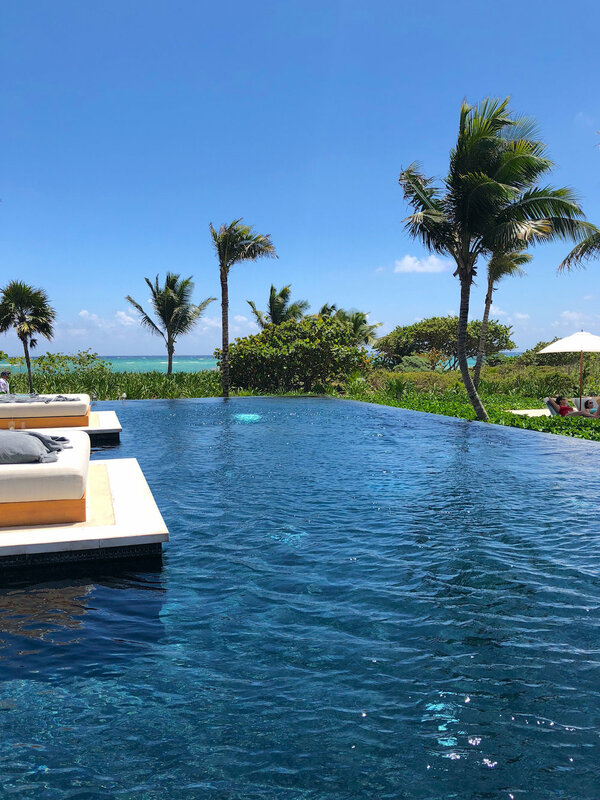 I've been fortunate enough to visit the Exuma Islands on several occasions and there is nothing more breathtaking than the views one is afforded by cruising the waters and islands of the Exumas. I knew we had to get out on the water, and I had Stocking Island and it's funky beach shack "The Chat-n-Chill" on my must do list! I also wanted to show my friends the beautiful islands and experiences of Compass Cay (nurse sharks) Big Major Cay (the famous swimming pigs) and Allen Cay, home of the white cliffs and iguanas. Unfortunately, the weather prevented us from traveling that far by boat, but the weather did hold out for us, allowing us to visit the local swimming pigs, sandbars, and (YAY) the Chat-n-Chill. We hired a super fun local guide for the day, Salt Life AJ (@salt_life_AJ) and he entertained us all along the way across the numerous cays and sandbars and even jumped in to show us some giant starfish! To sum it all up in 3 words...GO TO SANDALS! 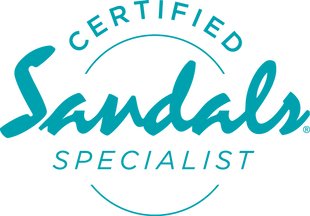 I don't care who you are, or who you're traveling with, you will LOVE the Sandals Emerald Bay! The food, friendly staff, fun times, good food and THAT BEACH! OH MY!! Nothing beats the Exuma blues and you will have your fair share of that on this spectacular beach, with swings, hammocks and water sports like kayaks, SUP and sailboats to boot. 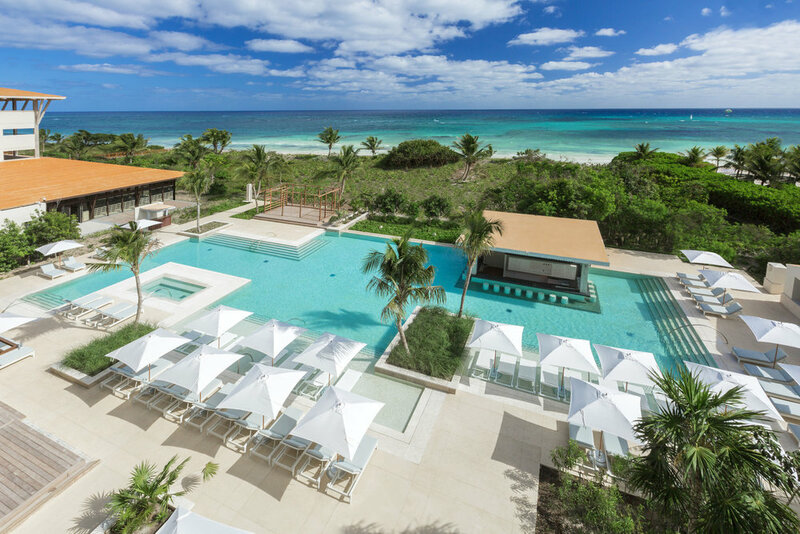 I will definitely be recommending this resort to traveling groups, couples and girlfriend groups without question, and I can't wait to return to Sandals Emerald Bay on Great Exuma! 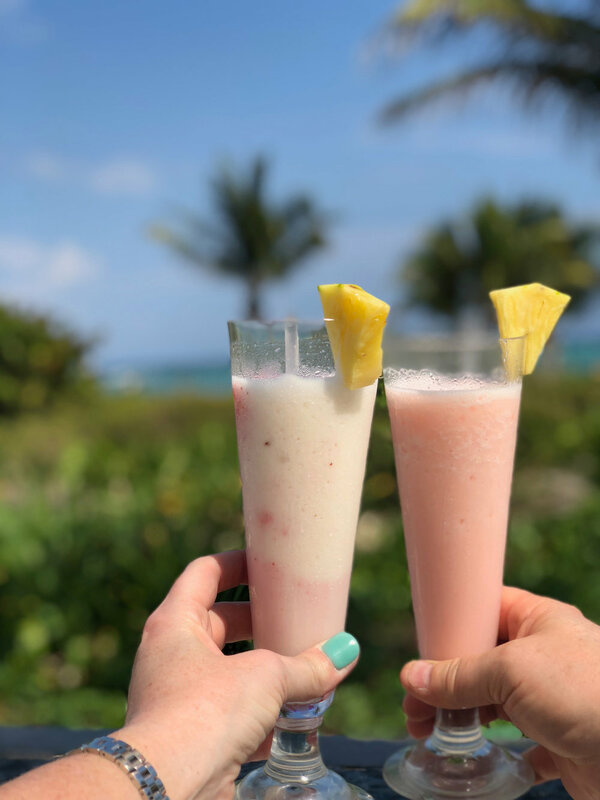 Cheers to #nationalgirlfriendsday and HAPPY TRAVELS! Don't hesitate to reach out to me with any travel questions you may have...I'm always up for travel talk! 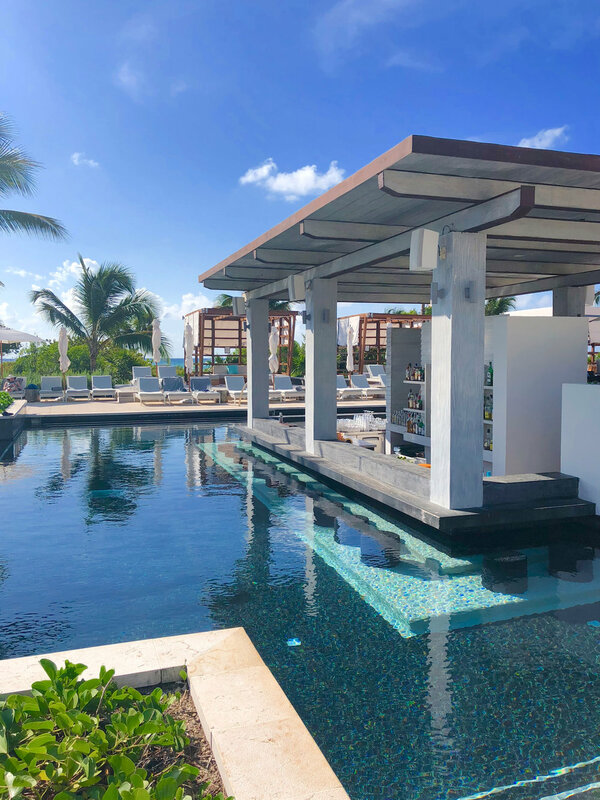 Seriously, I could write 3 separate blogs on this fabulous, luxury all-inclusive resort based on my experience...one on hotel design, one on FOOD and one of the fantastic service we received here, but I will try to keep it to one! Let me say up front that I was not a "guest" of this resort, staying for free in exchange for my review...I was a paying customer, so you know my review is authentic! I have to say that because I've read other reviews of this resort, and felt like it was so highly touted, that I doubted the legitimacy of the reviewers' comments...to all those bloggers, my apologies! I am now in the know...of the great food, fabulous service and general lusciousness that is UNICO! We knew the minute they opened the door of our car that this place was something special! We were greeted with a cool towel and "Welcome home Mr. & Mrs. Carrow" as we were escorted into the gorgeous lobby. The staff immediately offered us a welcome cocktail and escorted us to a comfy sofa where they presented us our aromatherapy options and began to check us in...right from the sofa! Soon, our "local host" found us, and explained their unique services. 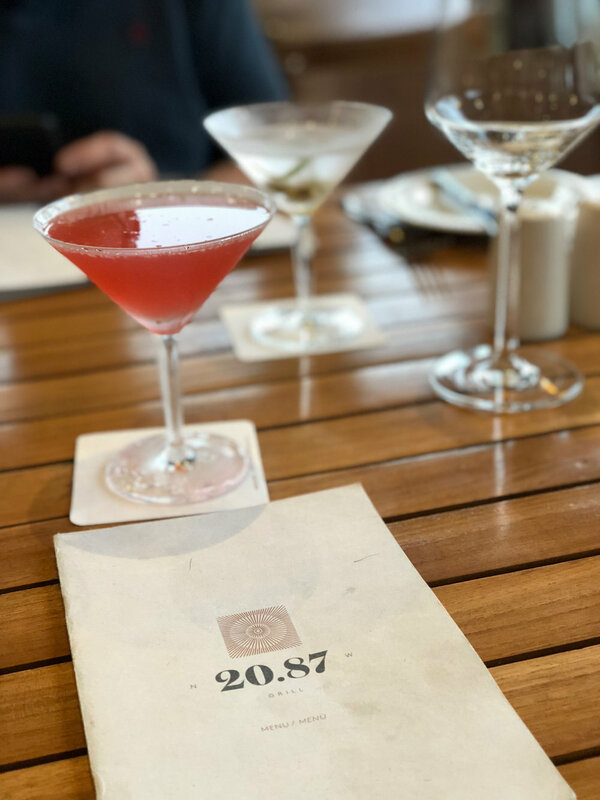 TRAVEL TIP: Download the UNICO 2087 app BEFORE you go...you can make some selections in advance. Kristel, our local host, explained we could use the app, or message her directly for the duration of our stay to book dinners, excursions, spa services or anything else we may desire. We found we didn't have to use the app, because Kristel would magically appear at least twice a day no matter where we were to advise us of our upcoming restaurant or spa reservations! I'm not sure how she did it, as I know she had multiple guests to care for, but she always found us in the pool, pizza pub, or swim-up bar to deliver news of our upcoming delights! Seriously...super cool! She even set us up with cocktail makings in our room every evening! 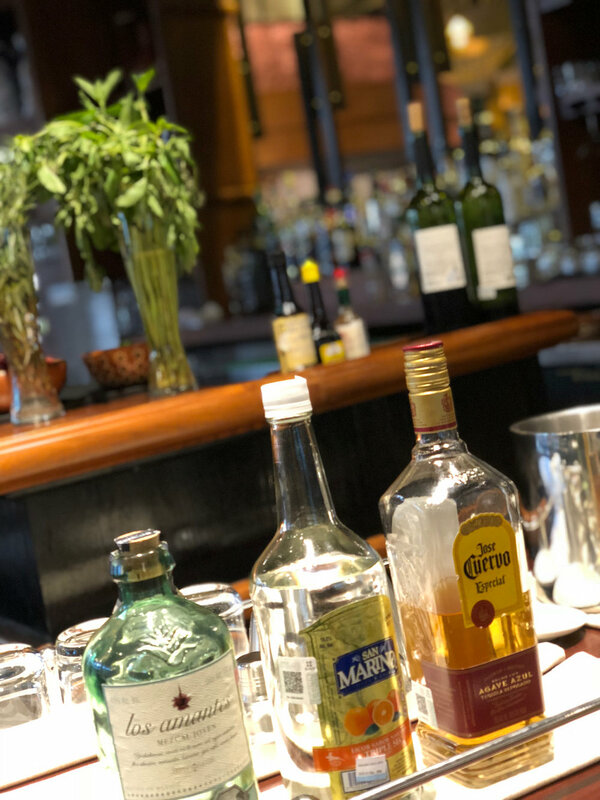 We had fantastic service the entire stay, not only from Kristel, but from the entire staff: the mixologist in the lobby bar, each and every waiter, every bellman, each and every person we encountered seeming to love their job more than the last! OK, even the bathrooms are beautifully designed! 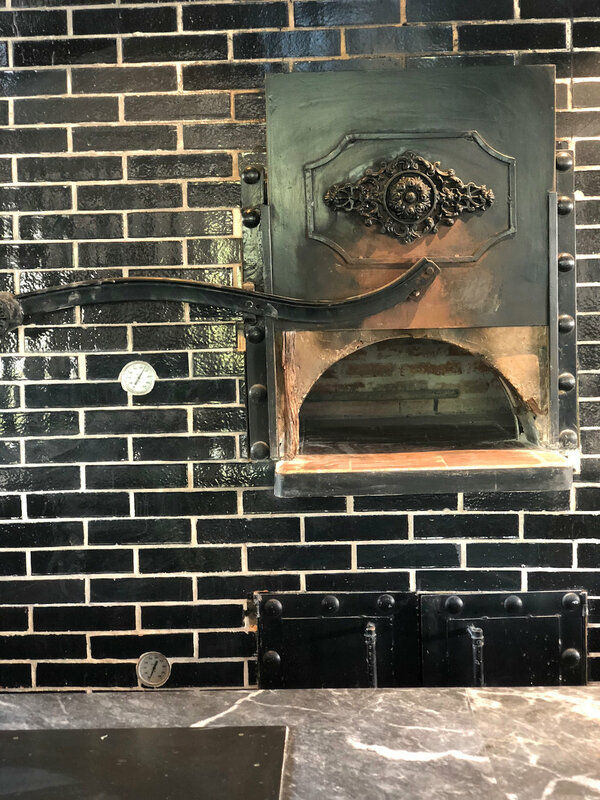 Great brick oven, wood-fired pizza right by the beach side pool! We ate here almost every day! Lobby Bar complete with mixologist! Wide view of the lobby bar. 4th floor of building 4 ocean view room. Can you tell I LOVE this lobby? 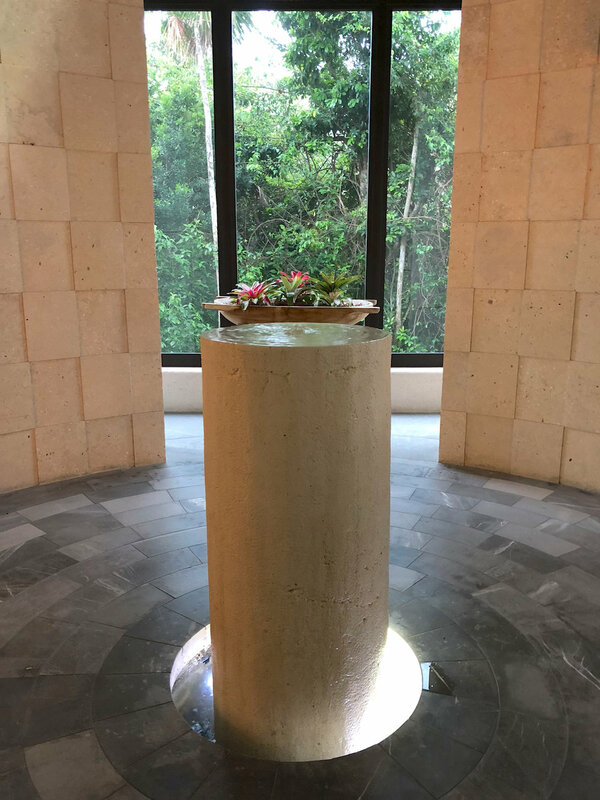 An unexpected level of service for an all-inclusive resort in Mexico. Lovely details throughout the resort. Seriously, this resort is just beautiful. 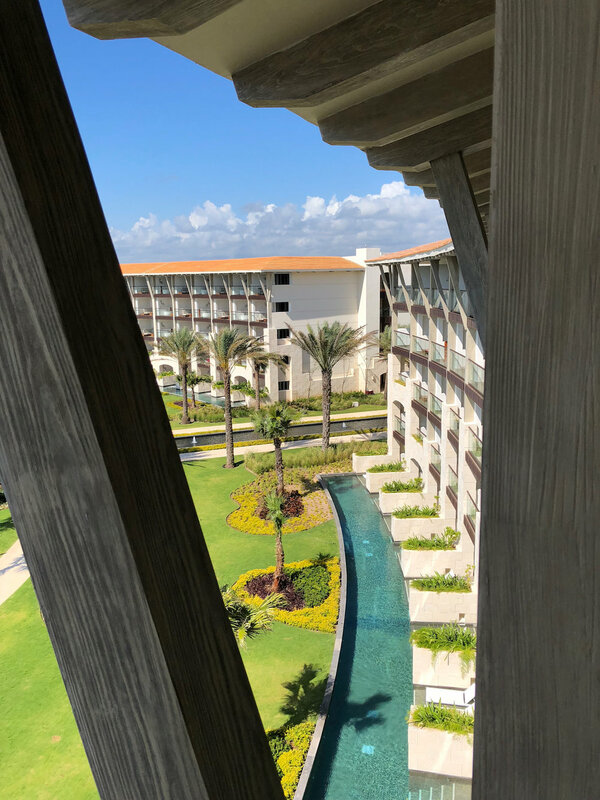 The exterior is designed to provide whatever experience you desire...music, action and activities in the beachside pool, or quiet relaxation in the Escondido pool. The interiors are simply stunning and each restaurant is designed to transport you to another place and time with its extraordinary details. 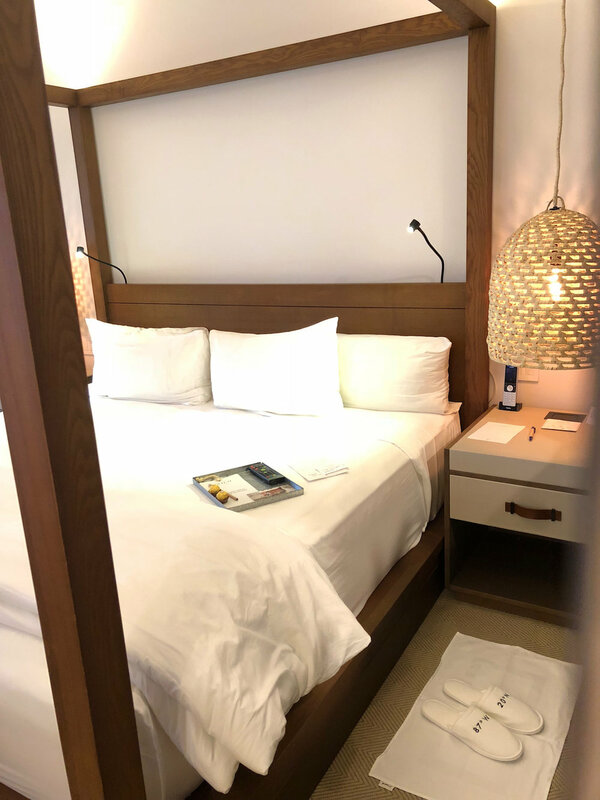 I read a few reviews of UNICO 2087, and I have to admit I was a bit skeptical, as they all were so complimentary of the food AND since I know that most bloggers are granted free hotel stays I was not buying it. I mean, seriously...how could an all-inclusive resort in Mexico have the best steak ever? Come on! OK...So...it really was that good! This is the more casual beachside eatery, serving a huge buffet in the morning and afternoon. Complete with omelette station, sandwiches and meats grilled to order, pasta bar with fresh seafood and of course, Mimosas and Bloody Marys to get the day started right! For dinner, steaks and fish are ordered a la carte, and although our dinner selections were tasty, this was restaurant was not on the same level as the others on the property. One huge highlight was the parmesan risotto, suggested by our waiter, which was promptly devoured, by my hubby and me (OK, mostly ME) and quickly reordered! Two delightful things about Mura House: the design, and the staff! 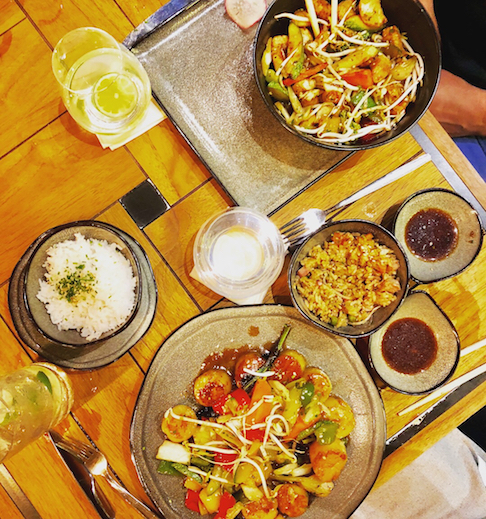 The most fantastic thing about Mura house: the food. The sad thing is I hardly know what I ate there, as it was sort of an "OMG, what's that she's eating...bring me one of those." kind of scenarios. 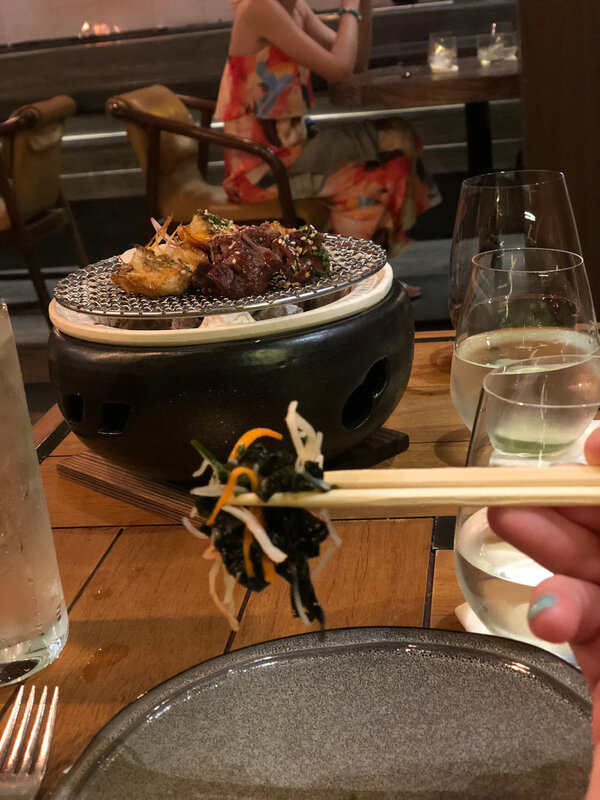 I CAN tell you we had an excellent assortment of sushi and sashimi, a delicious seaweed salad, and a fun little mini egg roll...compliments of the chef! The grilled scallops and shrimp pictured below was also delicious, but we just pointed and ordered from another table on that one! For dinner, we had Teppanyaki chicken and scallops and both dishes were wonderful. For dessert, we had some more salmon sashimi, and a cocktail...sorry, not sorry! So I do apologize for the fact that we skipped the gourmet Mexican restaurant in favor of returning to this FANTASTIC restaurant...it was just THAT GOOD! Now that I'm home perusing the UNICO website I'm super sad we didn't visit Cueva Siete, UNICO's chef-driven, gourmet Mexican concept, with rotating, well-known chefs from around the globe! Oh well, reason to return! So, back to Mi Carisa.....oh...Mi Carisa! For starters, I wanted to eat almost everything on this menu. 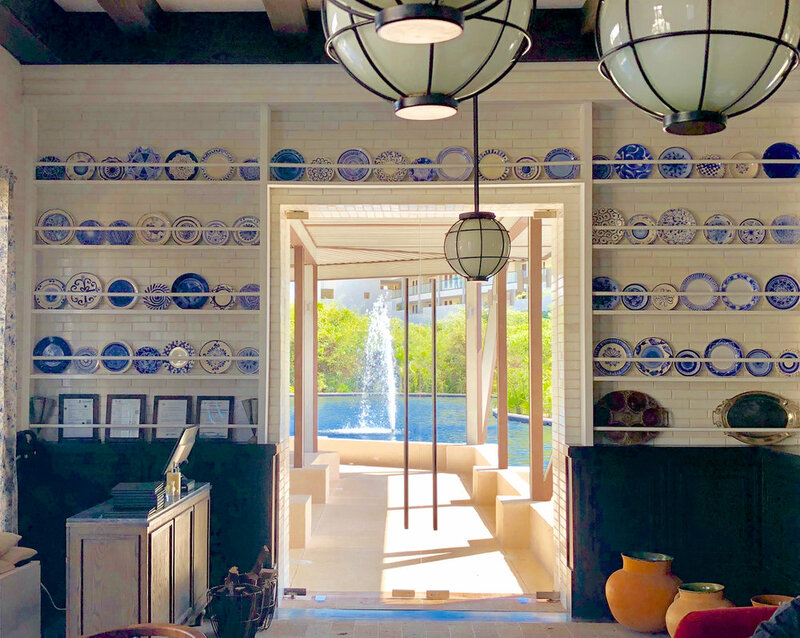 I also loved the decor...with blue ware on the walls and the tables and the relaxing, waterfront outdoor dining spaces. 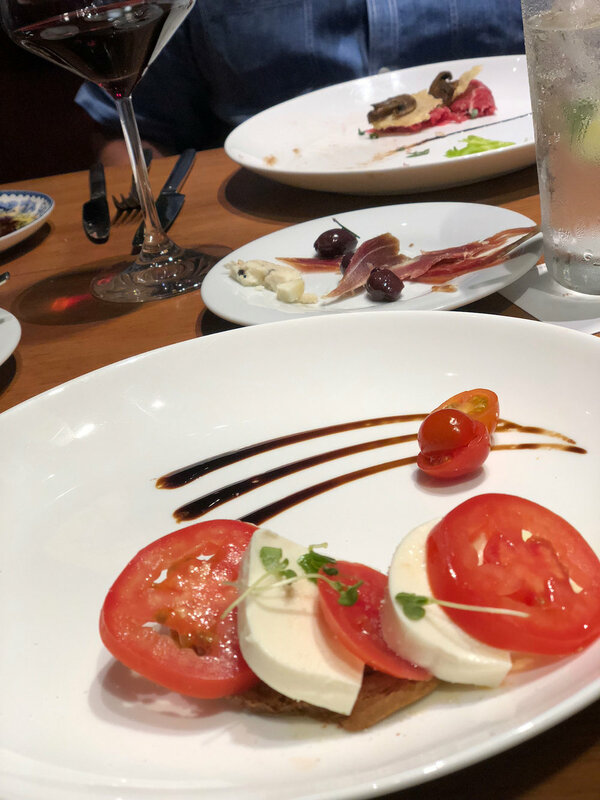 During our 2 visits, we enjoyed the Caprese salad, Tuna Carpaccio, Cioppino Classico, Spaghetti Fruitti Di Mare, and the Filet Di Manzo. First of all, let me say EVERYTHING was exceptional, but the things I ordered both visits were the Tuna Carpaccio, the Cioppino, and the Filet. 100% DELICIOUSNESS - everything from the seafood to the filet was cooked to perfection (seafood was not overcooked, nor was our filet) and the flavors were simply outstanding! It's difficult to describe this filet adequately: smoky, tender, full of flavor, cooked perfectly, and did I mention tender...like melt-in-your-mouth tender? OMG...PERFECTION! Seriously...where am I anyway? A steakhouse in Manhattan or Chicago? No...I'm at UNICO (you MAY have to remind yourself of the fact that you're at an all inclusive resort!) My husband's statement sums it up, "I'm going to stop short of saying this is the best steak I've ever had, because I'm at an all-inclusive in Mexico, but this is damn close!" 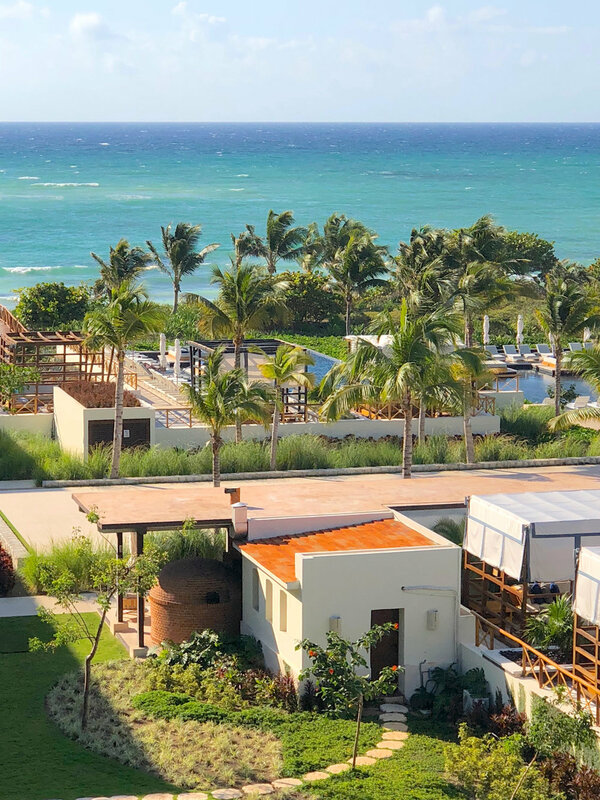 TIP: Unlike some upscale all-inclusive in Mexico, you do NOT have to bring slacks and close-toed shoes to dine in the "gourmet" restaurants at UNICO. Smart, beach casual goes at all the restaurants, so golf shirts and shorts for the guys are fine! My husband and I both thought our SPA services were exceptionally good, and the spa was gorgeous! We opted for the signature massage (which was "included" although you paid a 20% fee) and were thrilled to receive a 4 hands massage! We gladly would have paid for another one if we had more time! Oh, so heavenly! 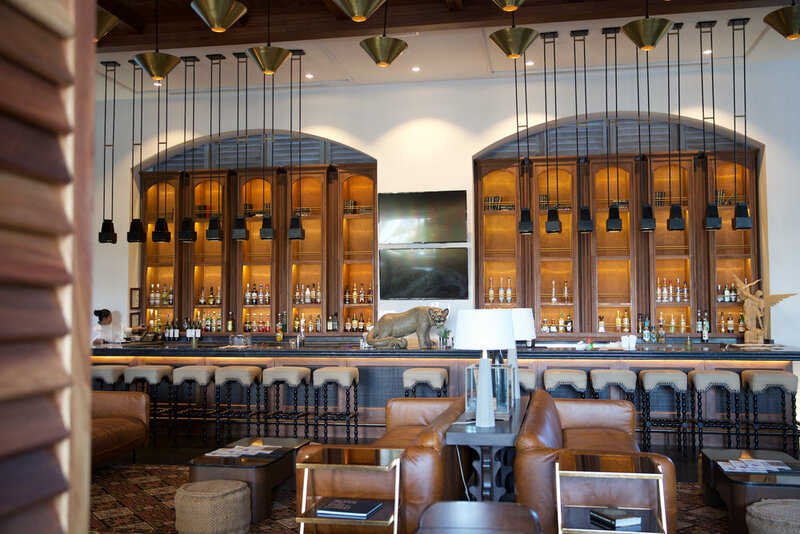 All of the Bars around the resort were easily accessible and rarely did you have to wait, with the exception of the lobby bar. The lobby bar was pretty active in the evenings and since their mixologist serves signature craft cocktails you may have a little wait...but it's worth it! Our stay was so short, we opted to not do an excursion, although they look fabulous! Certain excursions are "included" (with a 20% fee during our stay) and they all looked extraordinary. At the time of this writing, the tours include: Tour of Chichen Itza & Cenote, Swim with the Dolphins, Garrafon Natural Reef Park, Dine and Sail, Coba & Tulum, Selvatica Extreme Canopy, Extreme Snorkeling, and Extreme Mayan Jungle Tour. Signature Tours are also offered for an additional cost. The tours received rave reviews from what we heard...all great reports...reason to return! As you can see, we LOVED our time at UNICO. 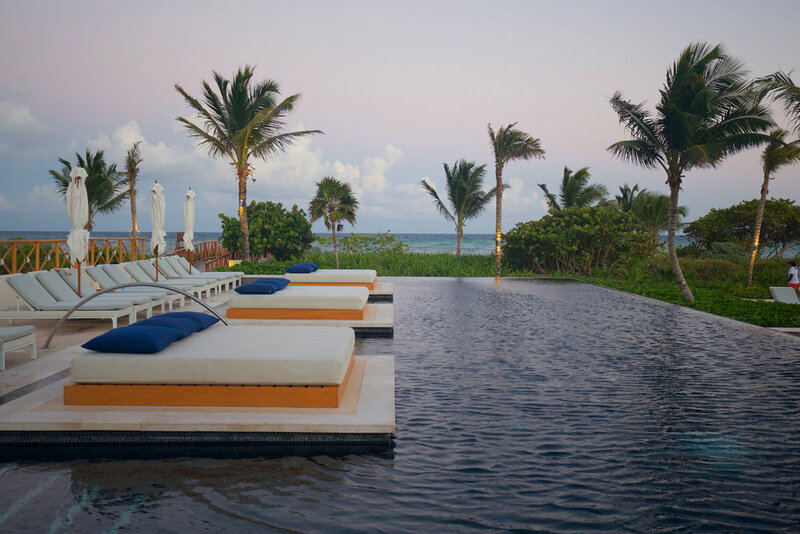 We will most definitely return and I would recommend this resort to ALL my friends and clients without hesitation. 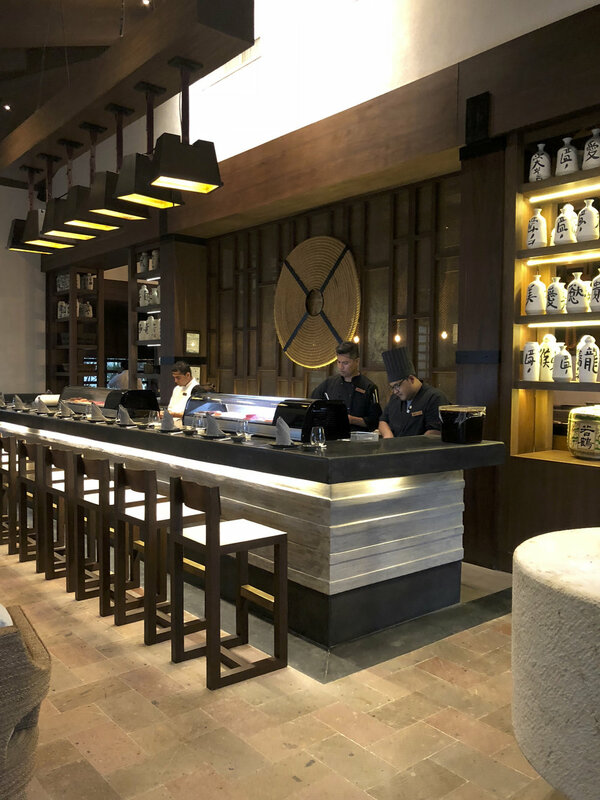 If you are looking for a gourmet all-inclusive experience with top-notch service, craft cocktails and chef-driven cuisine, look no further than UNICO. As a travel consultant affiliated with Caribbean Journey, I have access to special sales offered exclusively through our many vacation suppliers, so for the best prices drop me a line, or call me! 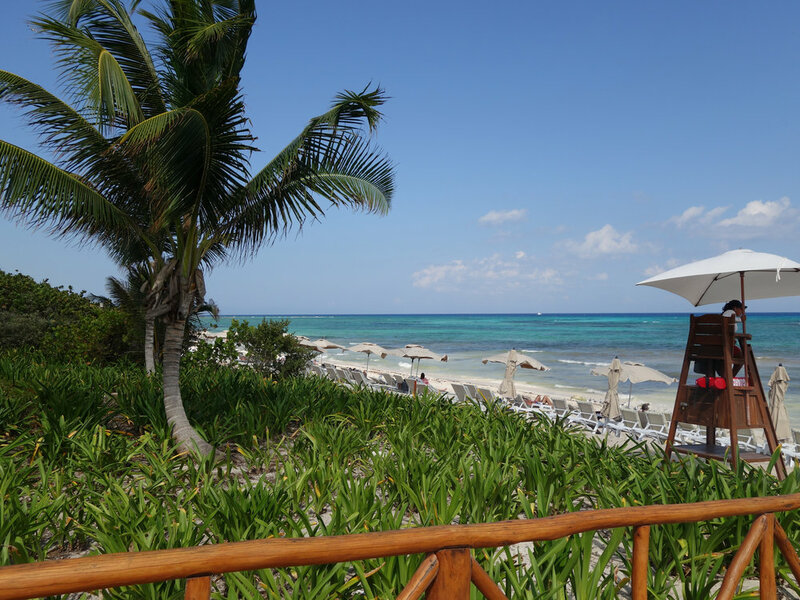 We recently spent a few days in paradise at The Finest Playa Mujeres and we couldn’t have been happier with our stay. 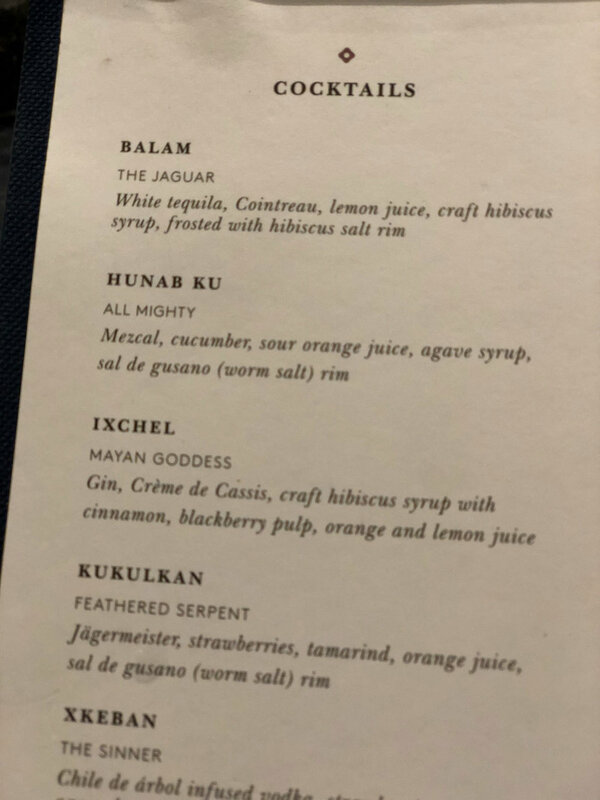 Let me say this first: I am a foodie, I love a craft cocktail, I’ve been to probably 100 beaches in the Caribbean, and I do love a luxury resort. 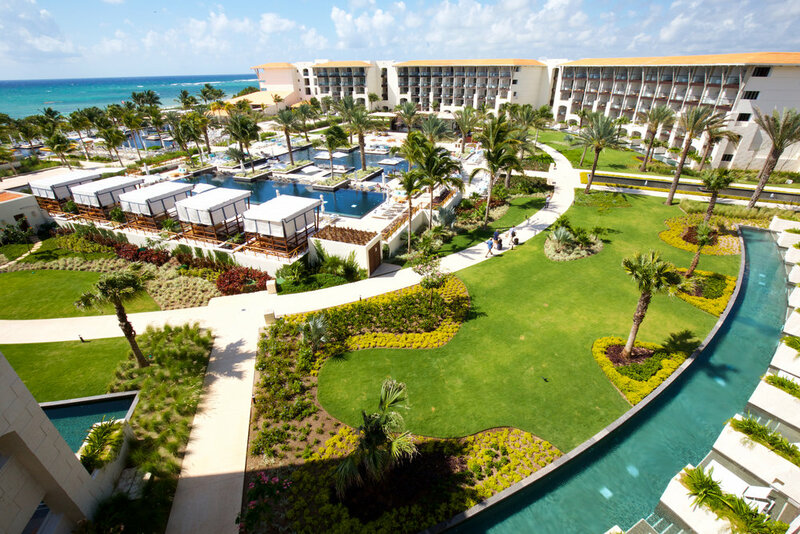 That being said, my expectations were somewhere between “meh” and “cool” when I heard my husband had been invited for an awards trip to this unfamiliar all-inclusive resort north of the Cancun hotel zone. Couple my lack of enthusiasm with recent travel warnings regarding Mexico, I found myself in a first-time scenario: at trip I kind of didn’t want to take! 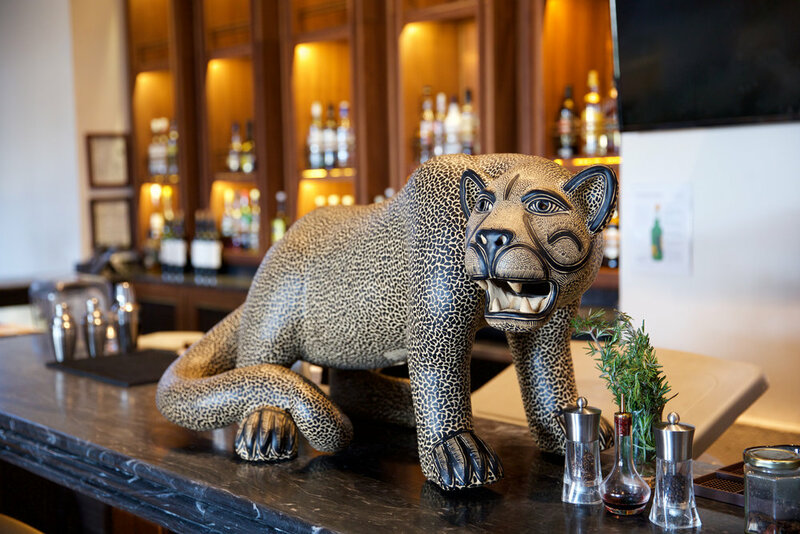 Brass Steakhouse – One of the fine dining restaurants on property, brass was a wonderful experience with sommelier presented wine pairings and expertly prepared steaks. We went with the recommendations of our server and we were not disappointed with the options he presented, especially the Argentinean “Barbacue” steak! Dukes’s Lobster and Seafood – We ate several meals here mostly because breakfast, lunch and dinner were all served with an ocean view! We really enjoyed every meal, but the seafood dishes like lobster risotto, and the ahi tuna were stand-outs in my mind. Las Dunas Beach House – This beach-front palapa delighted us every single day with its assortment of lunch items. Wood-fired pizzas, quesadillas and grilled fare were the standbys with a sprawling buffet that changed every day. Fresh made salsa and guacamole served up with homemade chips fresh from the fryer were my daily go-to and we loved the Mexican-Caribbean fusion seafood buffet as well! AHEM...good thing I dieted before I got here! 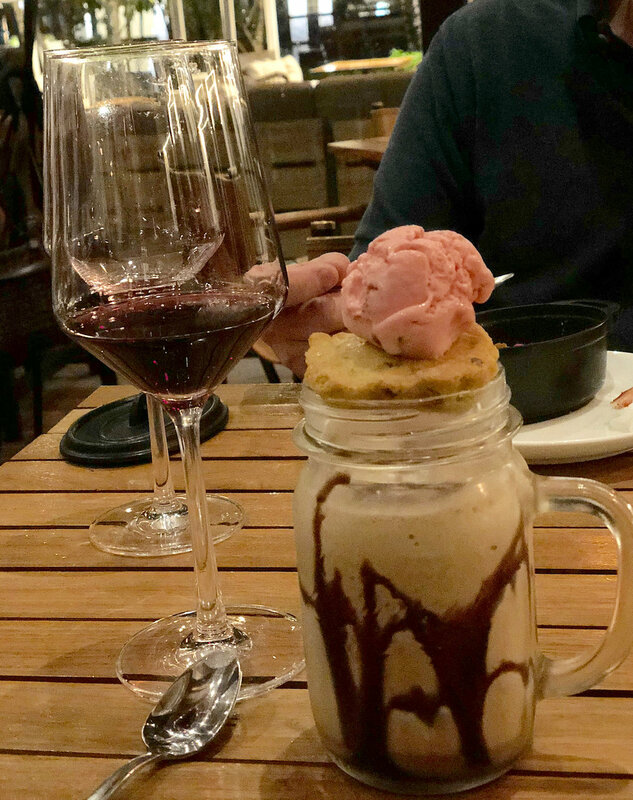 The resort also has an Italian restaurant, Japanese Steakhouse, Gourmet Mexican Restaurant (ask for the roasted pig) Tapas Bar, Juice Bar, Sports Bar, Food Truck, and Coffee and Dessert Shop (making excellent mudslides all day long!) Several nights of the week they have a themed dinner buffet complete with lavish decorations and entertainment. The word Buffet just doesn't do it justice...be sure to check these out...you can't miss the staff working all day to set up these extraordinary presentations! Entertainment – There was no lack of entertainment during the day or night. 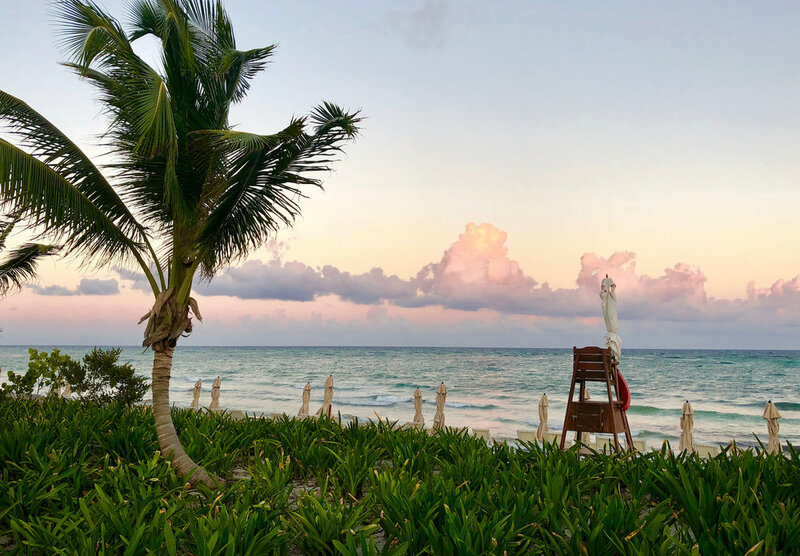 Cooking lessons, tequila tastings, bingo, pool-side trivia and exercise classes were all there for the taking (or not) and at night, shows from fire-twirling acrobats to Michael Jackson impersonators delighted audiences. 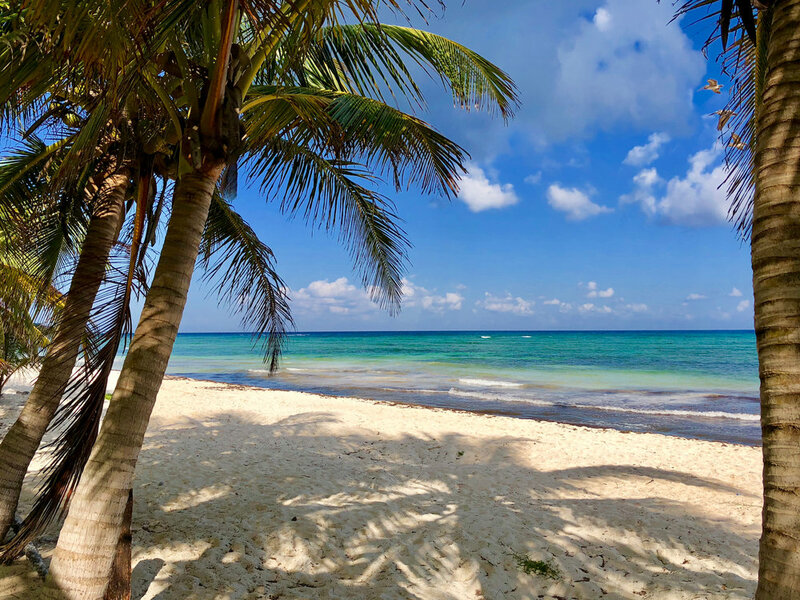 There are plenty of touring options, including a quick ferry ride over to Isla Mujeres, historical tours like Chichen Itza and Tulum, or a visit to downtown or the shopping district. 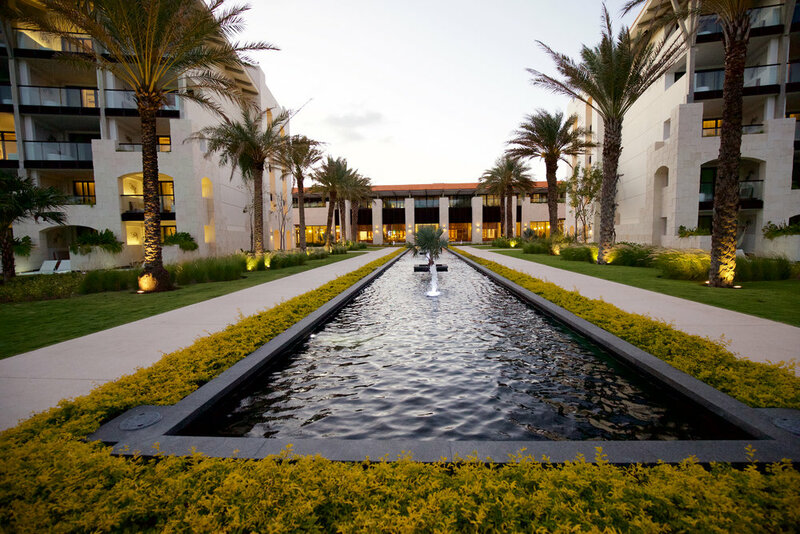 The Resort - The grounds of the property were clean and beautifully landscaped. The rooms were chic and modern, with rain shower and hot tubs and the ground floor rooms had plunge pools with hammocks. There were 2 pools separated by a swim-up pool bar, one for families and one for adults. The adult pool was festive and lively thanks to the friendly activities director who would pop in to offer up fun contests, swimming competitions and general drinking-themed shenanigans! 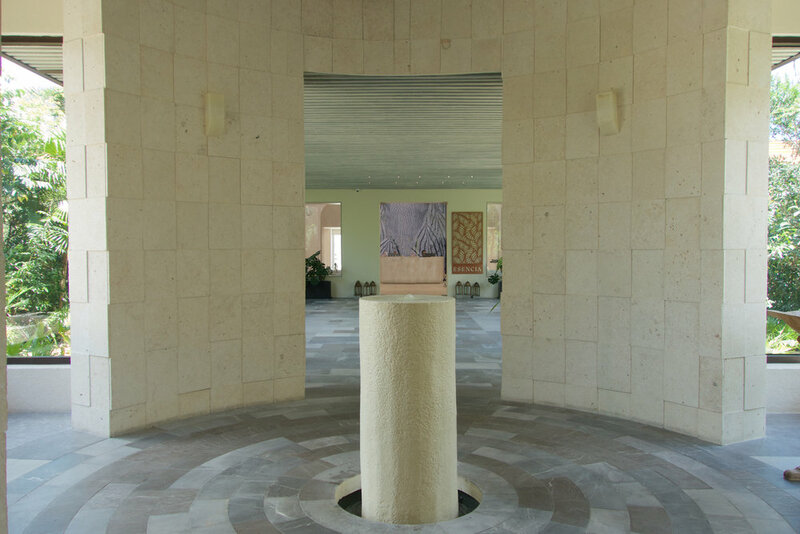 The Staff - The staff of the resort is what surprised me the most during our stay. The entire staff at The Finest exceeded our expectations at every turn. From the bartenders to the groundskeepers, every single person you passed by greeted you with a warm “Hola” and they always went out of their way to ensure our needs were met. The waiters and bartenders were warm and friendly and the spunky Activities Director, Isobel, entertained us daily at the pool. 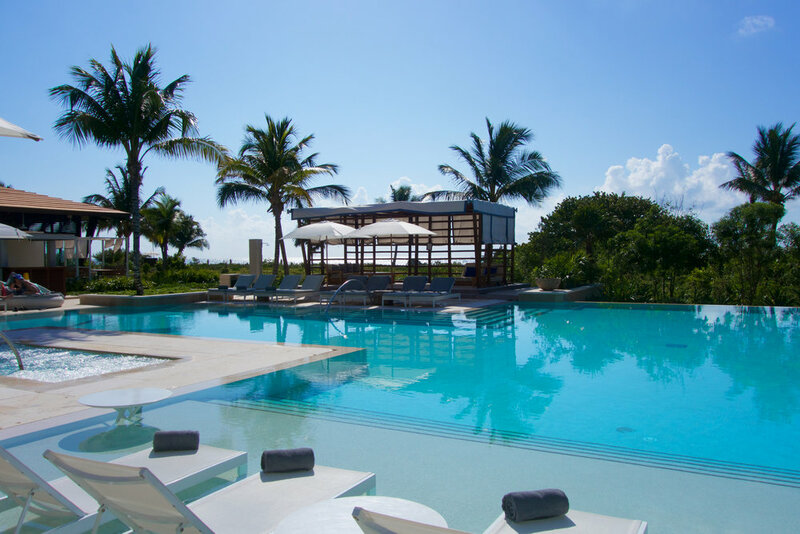 In my mind this is one of the best parts of The Finest Isla Mujeres, something that sets it apart from other all-inclusive resorts. 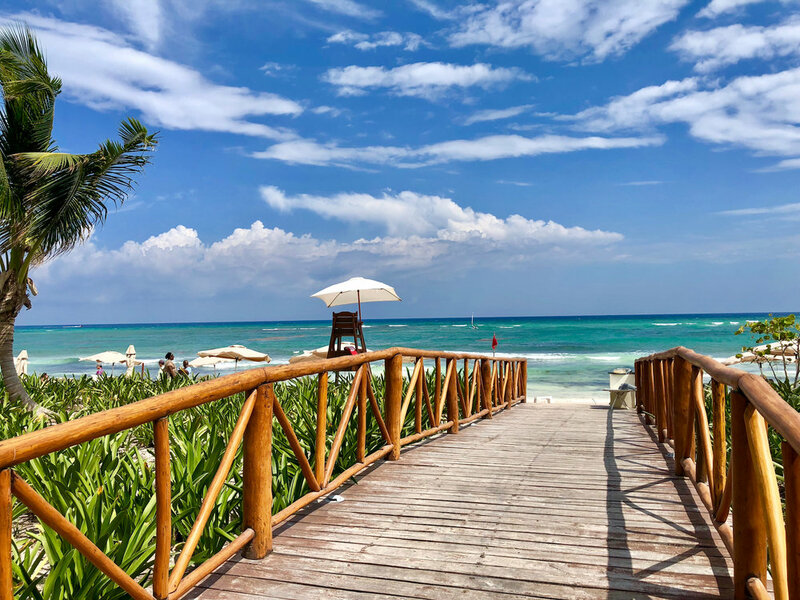 If you’re looking for a family-friendly all-inclusive you’ve hit the jackpot with The Finest Playa Mujeres. Even though we were enjoying a much needed break from our kids, we were not bothered one little bit by the family nature of this resort. 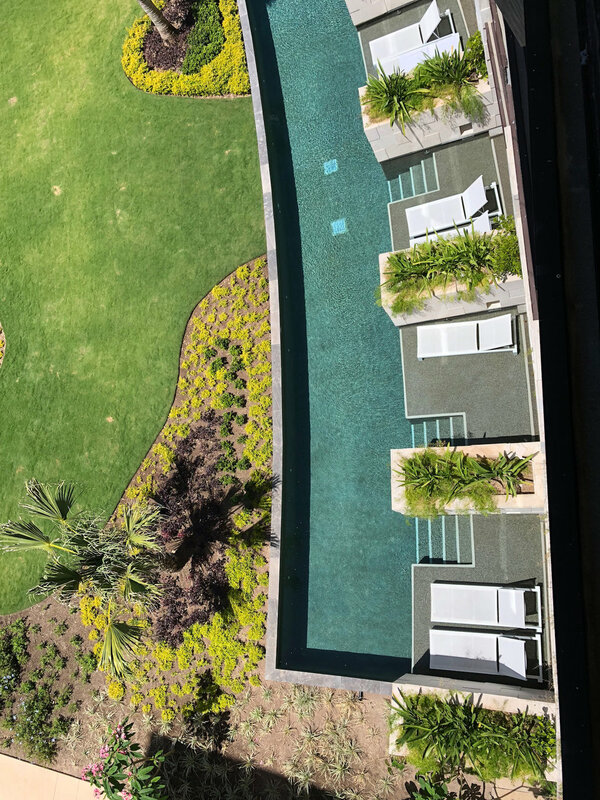 The separate pools and designated areas for families struck the perfect balance for couples and families alike. 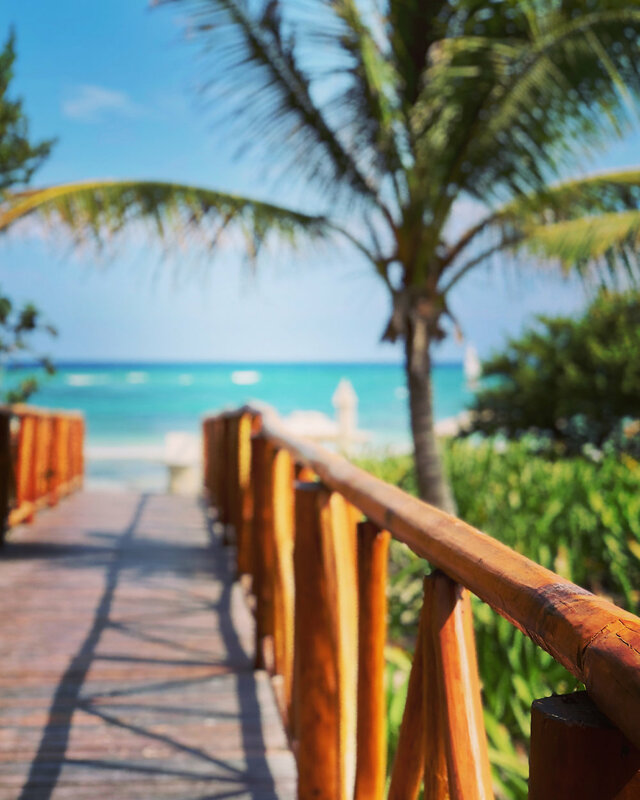 This all-inclusive resort in Mexico gets our vote for a great family vacation or romantic escape. Cheers!